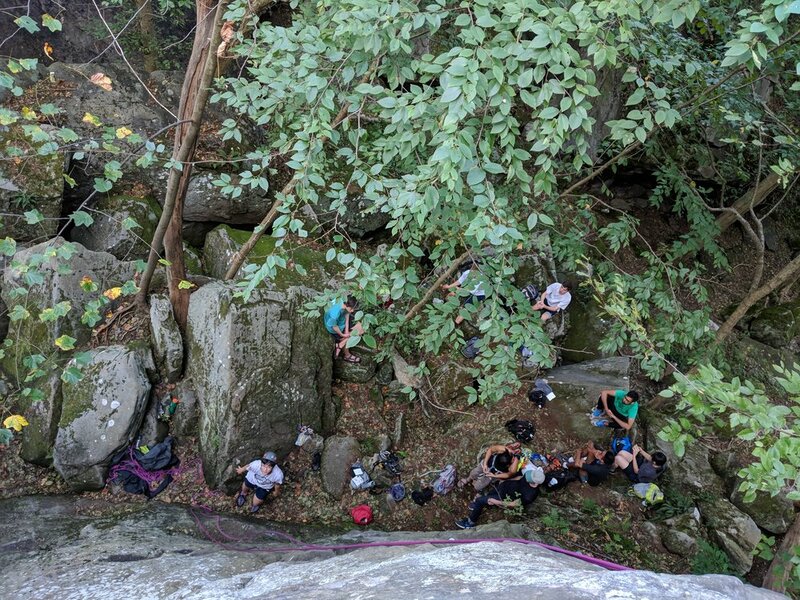 Over the weekend, six club members went to Seneca Rocks to do some multipitch climbing. Sherman, Steffen, and Cat tackled Ecstasy, Pleasant Overhangs to Thais Escape, Gunsight, and the Burn. Alex M, Dante, and Alex G. climbed Skyline Traverse, Le Gourmet to Front C to Critter Crack, Castor, Pollux, and a few more routes at the lower slabs. With the exception of Sherman and Alex, this was everyone's first multipitch experience and they all had a blast! A tricam was left behind, a carabiner dropped, and a cam nearly lost to the depths of Critter Crack. 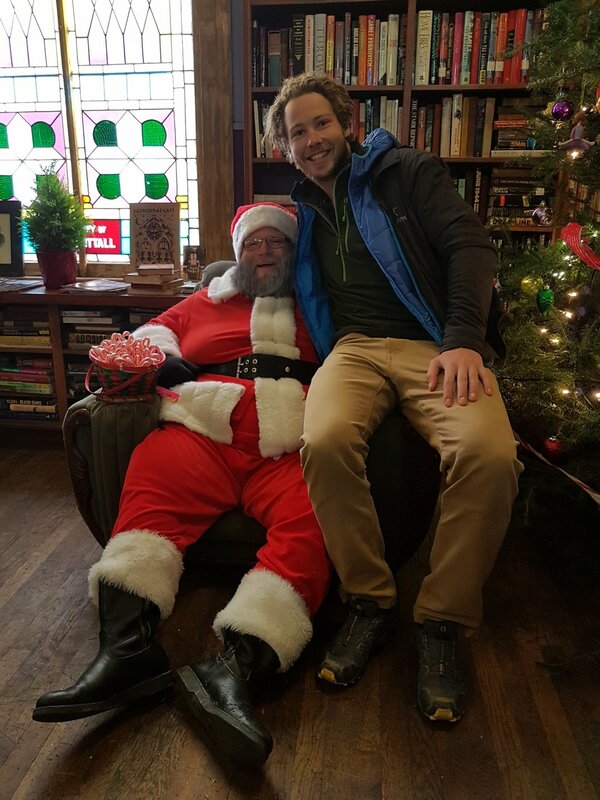 Overall, not too unexpected for a beginner trip and a great learning experience for all. We finished up the trip with a visit to Hellbenders. They make some pretty awesome burritos. Steffen, Cat, and Sherman at the summit! Seneca, majestic and chossy as always. 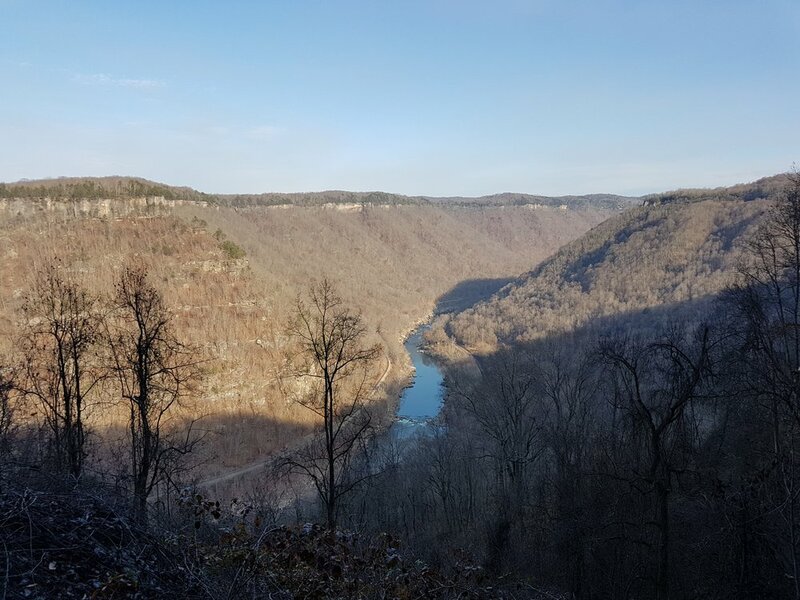 Over the weekend, 12 club members headed down to the New River Gorge for some perfect climbing weather. On day one, part of the group went to Sandstonia for some easy and moderate sport climbing. We put up some classics in the area including Geisha Girl (5.8), Mrs. Field's Follies (5.8), Kinesthetica (5.10c), Shady Lady (5.7), Zeitgeist (5.10a), and Decameron (5.10b). Another group went to Kaymoor for some hard sport at Fire and Ice Wall and Seven Eleven Wall. 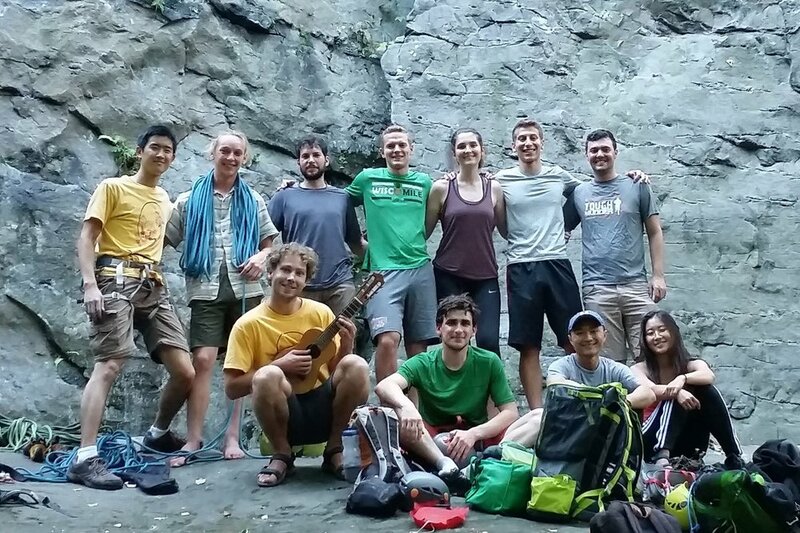 Many returned to Pittsburgh on Saturday night but a hand full stayed through Sunday to climb at Bridge Buttress. The crew got a taste of crack climbing while tackling Jaws (5.9) and Easily Flakey (5.7). We also ran a crash course on gear placement and practiced placing gear on the routes. Many of us finished the trip off with a ritualistic visit to the Secret Sandwich Society. Apparently, I didn't over hype it. The sandwiches are really really good. Did I mention that the Secret Sandwich Society has amazing sandwiches?